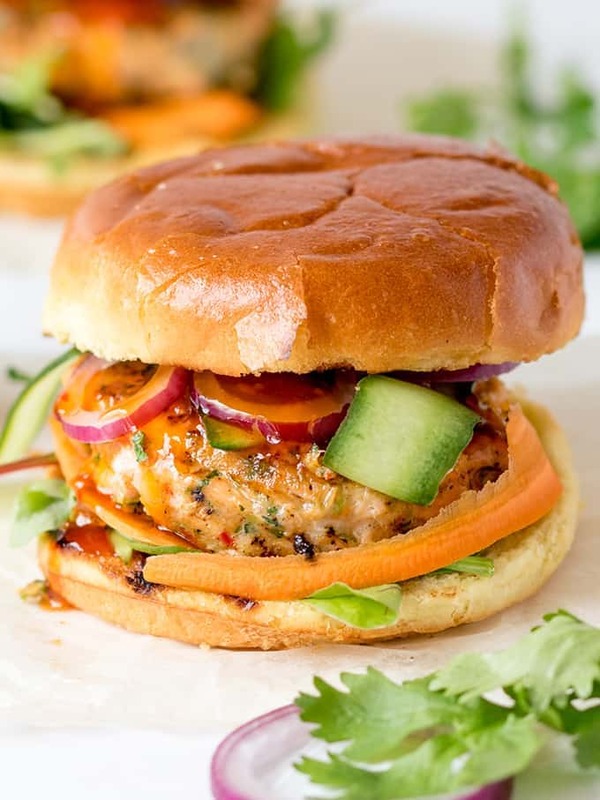 Thai style fish burgers with sweet chilli sauce – really simple to make and they taste amazing! Usually it’s the beef variety, topped with bacon and cheese and lots of other goodies (Chris is generally the burger maker at home, although I do get the odd look-in – as with my burger with baked parmesan onion rings). If you’re in the mood for a burger with a difference however, this is what you need! Toasted brioche rolls filled with crunchy veggies and a tender spicy salmon patty. Drizzled with sweet chilli sauce, this makes one moreish burger! 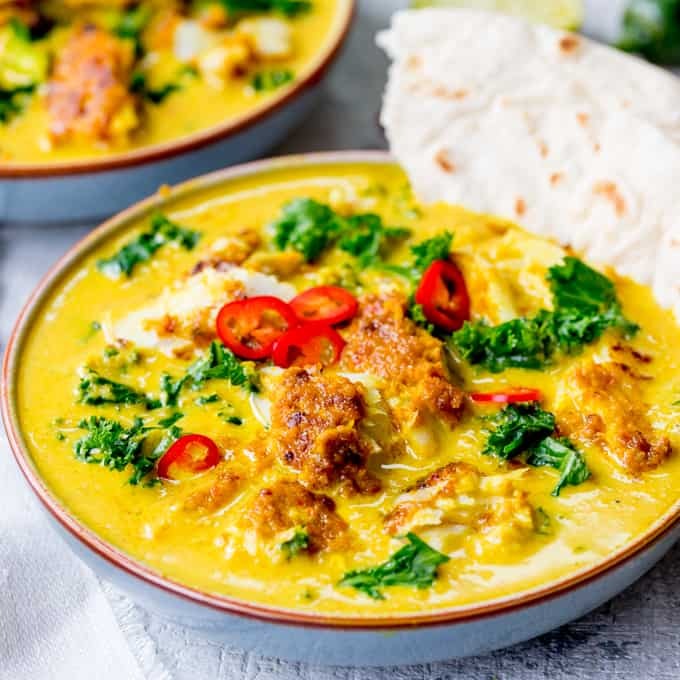 There are quite a few ingredients in this recipe, but don’t be put off, you’ve probably already got most of them in your store cupboard. The mix is then molded into burgers and fried on a hot griddle – or in a frying pan. Not to be confused with Thai fish cakes – which tend to use white fish and curry paste – these burgers have all of those classic Thai flavours without the need for store-bought pastes. 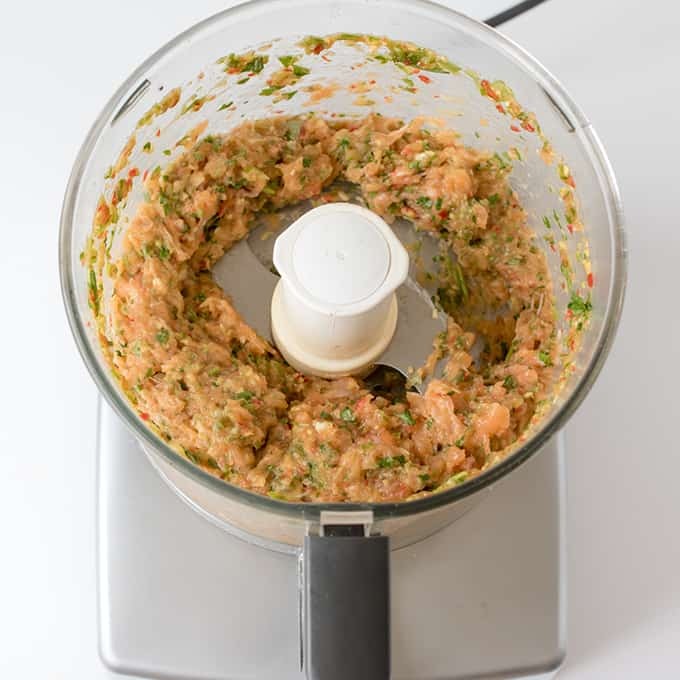 When you add everything together in the the food processor, be sure to pulse until just combined. This will ensure a juicy, tender burger that almost melts in the mouth. 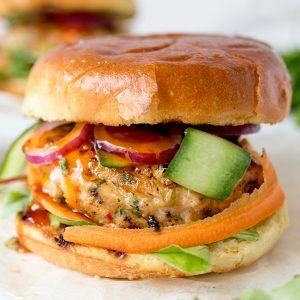 Topping the Thai Style Fish Burgers with strips of crunchy cucumber and carrot adds a whole new taste dimension, but if you prefer you can use regular burger toppings like lettuce and tomato (probably not bacon though – which might be the first time I’ve ever recommended not using bacon!) or you could go really out there and top with piles of beansprouts and chopped peanuts! I first created this Thai Style Fish Burgers recipe for DIYs – check them out for great recipe and craft ideas. Thai-style fish burgers with sweet chilli sauce - really simple to make and they taste amazing! 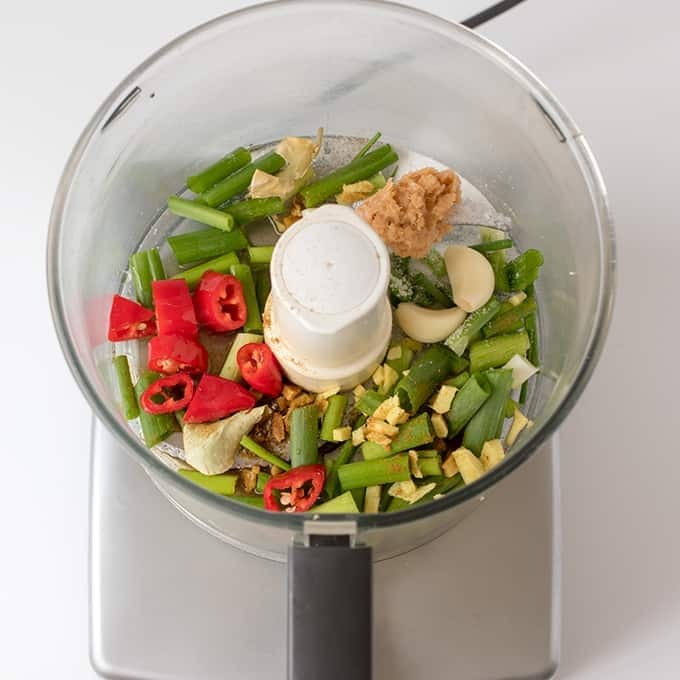 Place the chillies, lemongrass paste, fish sauce, sugar, salt, cumin, spring onions, kaffir lime leaves, garlic and ginger into a food processor. Pulse until well chopped. 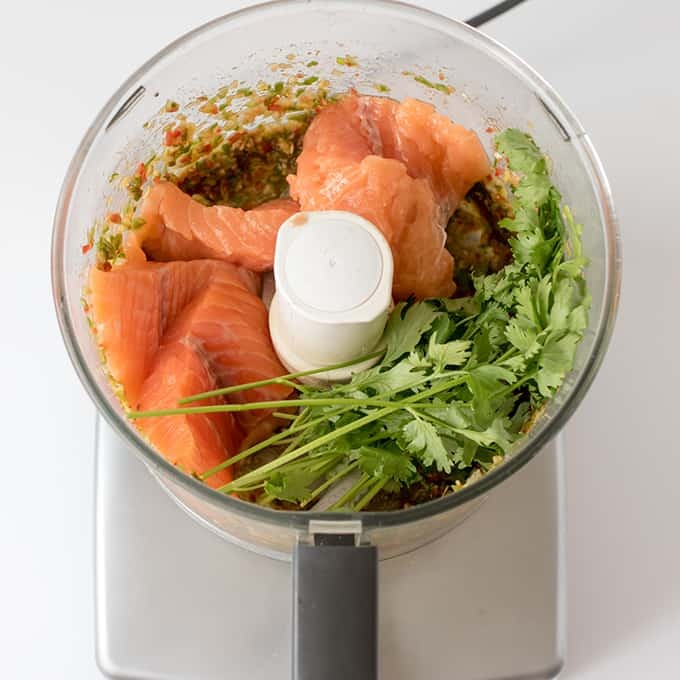 Add the salmon fillets and coriander then pulse a few times until the salmon breaks down and everything is combined. Shape the mixture into four balls using your hands. Place them on a plate and heat up the griddle. Brush half the oil on the salmon burgers and the rest of the oil on the griddle. Place the burgers on the griddle and flatten slightly with a spatula. Cook for 2-3 minutes until griddle lines appear, then turn over and cook again for a further 2-3 minutes until cooked in the middle (you can open one up to check). Place the buns on plates. Top with the salad leaves and strips of carrot. Add the burgers, cucumber strips and onion slices, then drizzle on the chilli sauce before putting the top of the bun on the burger. 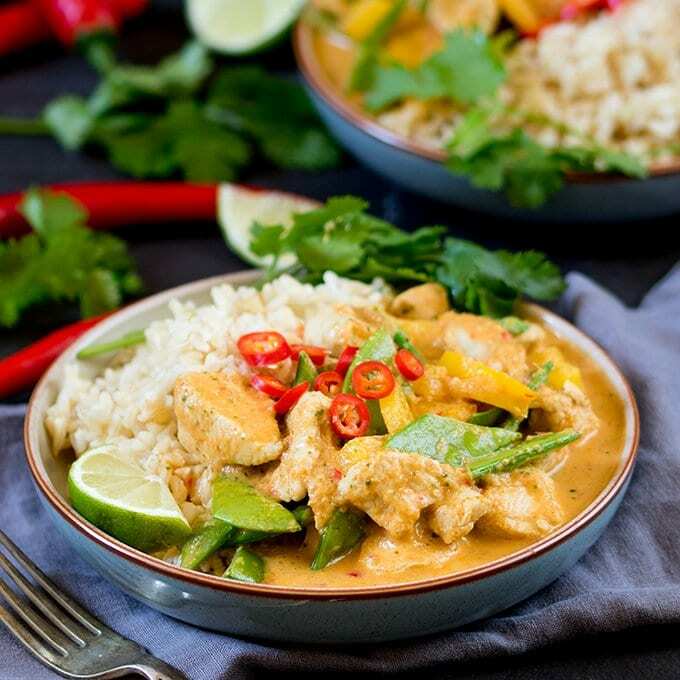 Serve with extra sweet chilli sauce! 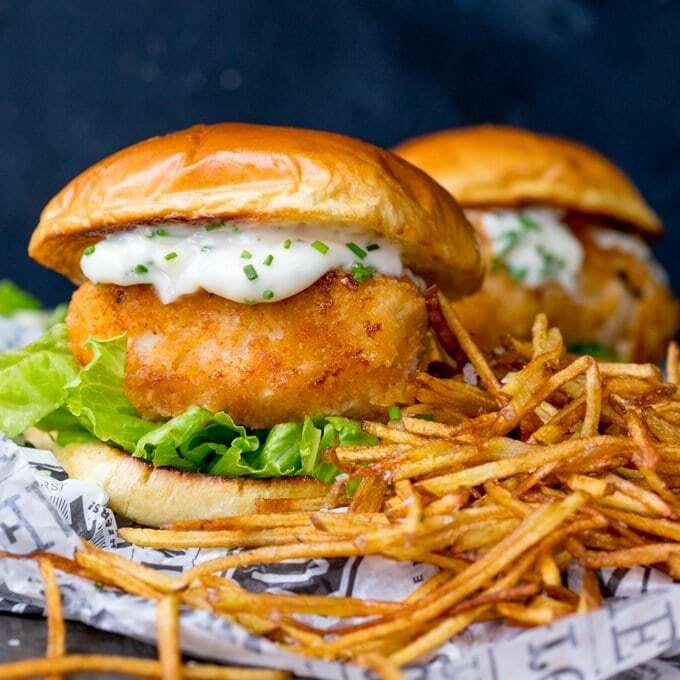 I’m not a huge fan of beef burgers, but this fish burger is truly delicious, definitely my sort of burger. Can you freeze after cooking? I haven’t tried freezing, but I don’t think it would work, as the fish burgers are very moist – so I think they might seep a fair bit when defrosting. We made this tonight and it was amazing! 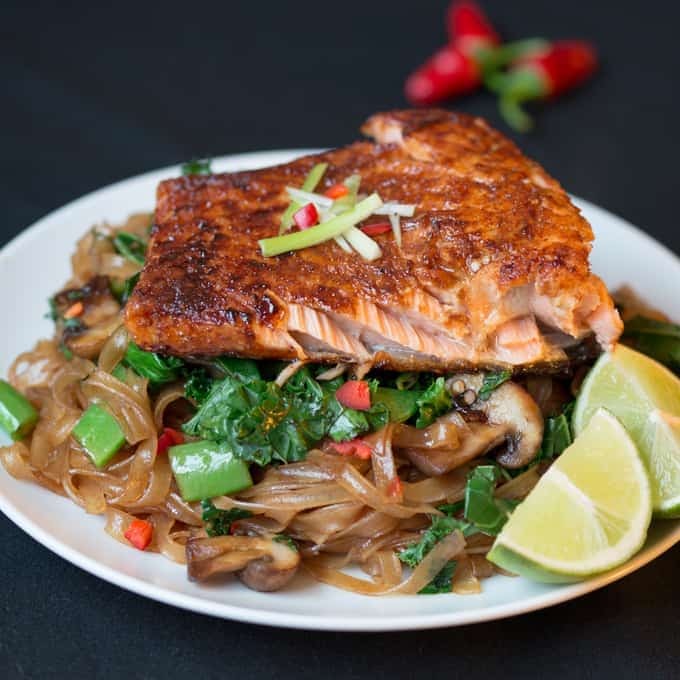 BURSTING with yummy Asian flavors!